Capturing the invocations of the Old Ones is no easy task; it is not for the faint of heart, nor weak of spirit. Individually, composers Reber Clark (HPLHS), Mars Homeworld (Lovecraft: Fear of the Unknown), Troy Sterling Nies (HPLHS) & Will Severin (The Thing on the Doorstep) have risen to the challenge time and again to provide that most elusive of music; Lovecraftian soundtracks. Together, they join forces to commit the music of the spheres to a new recording. Each track based on a different H.P. 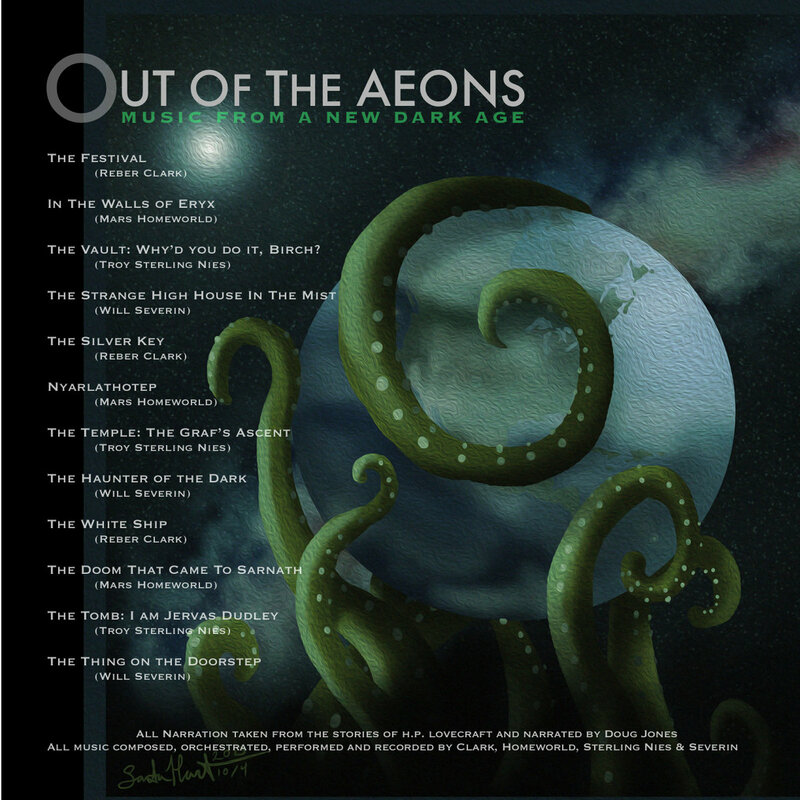 Lovecraft tale and traversing musical styles from orchestral to ambient to rock, with narration by genre favorite Doug Jones (Hellboy, Pan’s Labyrinth, Fantastic Four: Rise of the Silver Surfer). This project is a must-have for H.P. Lovecraft fans and collectors everywhere.